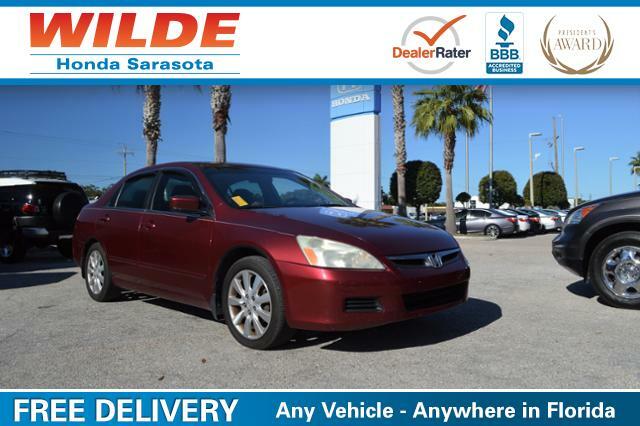 This Used 2006 Honda Accord 3.0 EX has a Redondo Red Pearl exterior and Gray interior, EX-L V6 trim. Excellent Condition. Moonroof, Heated Leather Seats, Multi-CD Changer, Aluminum Wheels, Satellite Radio, Edmunds Consumers’ Most Wanted Sedan Under $25,000. Leather Seats, Sunroof, Heated Driver Seat, Satellite Radio, Multi-CD Changer Keyless Entry, Remote Trunk Release, Steering Wheel Controls, Heated Mirrors. 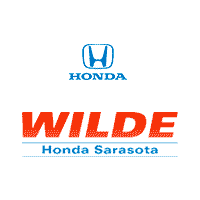 Honda EX-L V6 with Redondo Red Pearl exterior and Gray interior features a V6 Cylinder Engine with 244 HP at 6244 RPM*. Serviced here, Non-Smoker vehicle. Pricing analysis performed on 1/25/2017. Horsepower calculations based on trim engine configuration. Please confirm the accuracy of the included equipment by calling us prior to purchase.